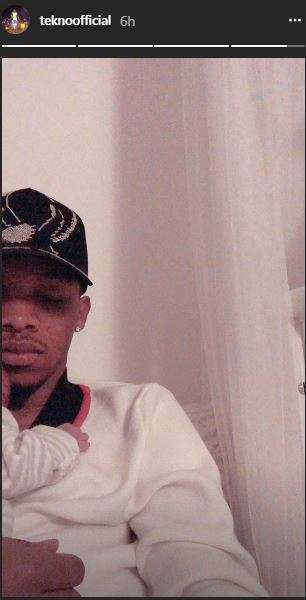 Tekno is the latest celebrity to become a dad and he is settling with daddy duties already. The music star is showing us that he indeed is a proud father as he took to his Instagram page on Wednesday, May 30, 2018, where he posted a photo of himself and barely month old child. They looked adorable together and we guess Tekno is still basking in the euphoria of being a first-time dad. We might also be getting to see more photos of the singer and his child on social media.